Ever wondered what is Facebook Cambridge Analytica scandal all about? 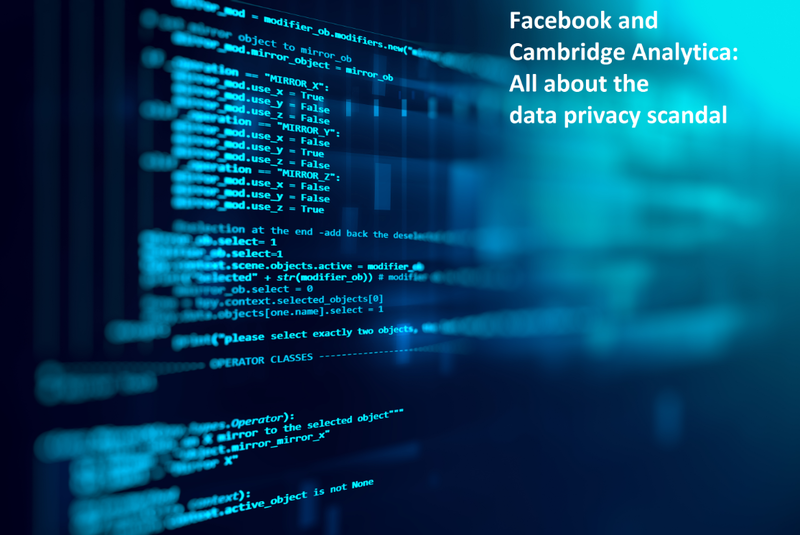 Do you want to know everything about the Cambridge Analytica Facebook data breach? As we enter the age when GDPR is going to keep intruding companies in check, this case of data privacy breach is surely something you’d want to learn about. How about an infographic that summarizes everything? The infographic below will explain the Facebook Cambridge Analytica case personal data breach. Note: The quote, “Suddenly Mark Zuckerberg’s job looks a lot less fun.” comes from Rory Cellan-Jones’ BBC post. Want to know how to spot TripAdvisor fake reviews? This is the 3rd and concluding part of our posts on the recent events involving Facebook. Earlier we wrote on how Facebook knows more than you think. And we also did a detailed post on Mark Zuckerberg’s senate hearing. Update: Cambridge Analytica has filed for bankruptcy. On 08 May 2018, Bloomberg reported Cambridge Analytica will not be revived under a new company name . Team-members have gone different ways to pursue individual interests.